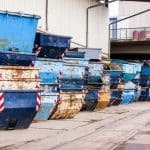 How Much Will A Skip Hire Service Cost A Business? A skip hire service is a waste management service that effectively transports and disposes of waste. These services provide their clients with skips, which are periodically collected and transported to a landfill or recycling site. They provide services not only to residential settings but also have modified services for industrial or commercial waste removal. There has been a noticeable increase in the amount of businesses investing in skip hire services. This rapid increase is due to a variety of reasons, firstly some businesses simply do not have the time or the recourses to dispose of their waste appropriately. Some on the other hand are incurring substantial costs by disposing their waste on their own and are cutting costs by investing in skip hire services, and looking to find suppliers that offer a reasonable skip hire cost. Besides this the society we live in today has become increasingly conscious about the environment, many clients and customers will not deal with businesses that are harming the environment by allocating their waste. Also, every business is legally obliged by legislation to allocate and dispose their waste appropriately, if they do not adhere to these rules they can face substantial penalties or even foreclosure. Finally, the last reason why many businesses have started investing in skip hire services is to improve their public image in the eyes of their clients and customers. Having a go green persona will help the business attract new clients and even new customers, this has the potential effect of increasing the overall profitability of the business. This is exactly why there has been a rapid increase in demand for skip hire services as every business wants to take advantage of the versatile benefits that skip hire services provide. Due to the rapid increase in demand for skip hire services there are many different options available in the market today. Each of these skip hire services has instilled their business persona in their services and offer different rates. These are the smallest size of skips available in the market today and are generally used in residential settings as they cannot accommodate substantial waste. They are ideal for businesses that produce small amount of waste and are also perfect for locations that cannot accommodate large skips. Another skip that is perfect for small jobs such as home improvement projects or house clearances is a 5-yard skip. These skips have the capacity of accommodating approximately 55 bin bags and are normally offered as a onetime service. These skips are a popular for larger home improvement projects such as revamping the roof or renovating a certain portion of the home. They can easily accommodate about 65 bin bags and can also be used for commercial purposes. Another popular choice for home improvement projects that produce construction waste are 8 yard skips. These have the potential of accommodating approximately 90 bin bags and are extremely cost effective. These are only used for commercial purposes due to their sheer size. It is an ideal choice for commercial settings that produce substantial waste as this skip can accommodate more than 100 bin bags. Most commercial settings prefer these skips compared to the 10 yard skips as they can easily accommodate substantial waste. 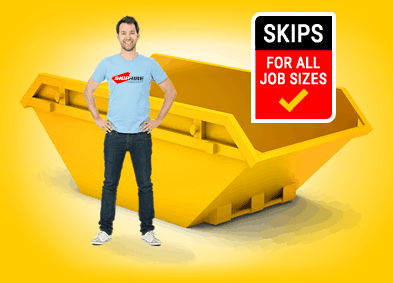 These skips can easily accommodate more than 120 bin bags. These skips are largely used in commercial settings or large constructions projects as they have the capacity of accommodating more than 170 bin bags. The largest skip used in commercial settings is the 18 Yard Skip. This massive skip can easily accommodate more than 200 bin bags! Lockable Skip Hire: Prices start from 200-300 Pounds according to the size of the skip. What Waste Is Allowed In A Skip? 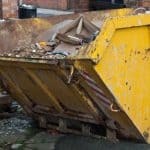 How To Hire A Skip Hire Service? HIRE A SKIP TODAY, IT’S FAST AND EASY!